Throughout Glenn Dale, there are many people whose legacies and future autonomy are at risk. While most people don’t stop to think about it, the reality is that life could turn on a dime at any second. An illness or unexpected injury could cause you to become incapacitated and dependent upon others to make decisions for you. A tragedy could take you away from your family and loved ones. When and if these things happen, getting legal help becomes paramount in importance. You need a local lawyer who knows Glenn Dale laws and SinclairProsser Law is the firm you are looking for. Glenn Dale, MD is considered a census-designated place because it is not an incorporated area. Glenn Dale has a population of around 14,000 people and the unincorporated area spans a total of approximately 7.2 square miles. Almost the entire area is land, at 7.1 square miles of land compared with just .12 square mils of water. Glenn Dale is located to the east of the city of Bowie, while its northern neighbor is also unincorporated Prince George’s county. Both Fairwood and Mitchellville are located to the south of Glenn Wood. They are both census designated areas. Finally, there are two additional census-designated areas located to the west of Glenn Dale. They are called Seabrook and Lanham. Glenn Hale is home to an abandoned sanatorium, which is called Glenn Dale Hospital. The hospital was first built as a sanatorium for tuberculosis patients in 1934. Asbestos forced the closure of the hospital in 1982 and it has sat empty since then but has not been demolished. In 2011, it was listed on the National Register of Historic Places. Glenn Dale is also the site of the U.S. Department of Agriculture Plant Introduction Stadium. The area is served by the Prince George’s County Public Schools system, and there are also two private high schools in Glenn Dale including a Christian Academy and a middle school day school. The aging and Disabilities Services Division offers programs promoting senior health and wellness for older people. There is information about long-term care and assistance offered in seeking programs. Nutrition services are available, and there are programs for socializing and recreation which can help to improve quality of life. There are also resource for seniors who may be interested in senior employment within Glenn Dale or other locations in Prince George’s County. Estate planning and elder law attorneys provide different types of legal assistance and advice, with the legal aid that clients receive customized towards helping them to find solutions. The solutions that elder law attorneys help with include the use of legal tools to help achieve financial security, such as the use of tax-advantaged retirement accounts. Elder law attorneys also help to prepare individuals and their families in case of incapacity and death. Financial issues, end-of-life, and legacy planning issues are the key issues which an elder law or estate planning lawyer helps clients to handle. In many situations, the planning you do will help to avoid court proceedings, such as the probate process or guardianship proceedings to gain authority to act for a loved one. If you have made plans in advance, you have more control over issues that matter instead of just giving a probate court judge the authority to questions of who should serve as a guardian or administer your estate. Because Glenn Dale is part of Prince George’s County, court proceedings related to estate planning issues are going to be heard at the Prince George County Orphans’ Court. This court handles estates, wills, some guardianship related proceedings, and more. There are three judges who preside over the Orphans’ Court, all of whom have to be attorneys who have been licensed to practice law within the state of Maryland. The attorneys who are on the Orphan’s Court are elected every four years. The Orphan’s Court serving Prince George County is found at 14735 Main Street; D4012; Upper Marlboro, MD 20772. The court works with the Registrar of Wills, which serves as the clerk of the Orphan’s Court. The Office of the Registrar of Wills for Prince George County is found at the same address as the Orphan’s Court but in Room D4001. The main telephone number to reach the Registrar of Wills is 310-952-3250. There is also a toll-free number that you can use within Maryland. The number is 888-464-4129. 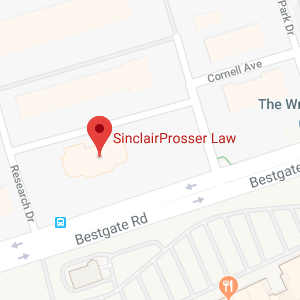 SinclairProsser Law is ready to provide assistance in court or out when dealing with estate planning, legacy planning, incapacity planning, and more. Our legal team knows how to put the legal tools available under Maryland law to good use in providing important protections for individuals and their loved ones. We can help with everything you need to give you the peace of mind of knowing you have a plan in place for both good and bad things that life throws at you. Give us a call at 410-573-4818 or contact us online to speak with a Glenn Dale elder law and state planning attorney to find out more about the ways in which an experienced attorney can work with you in securing protections under Maryland law.